You most likely know that distracted driving is a big issue. And, that it stands to reason that distracted driving can lead to truck accidents. Unfortunately, a crash with a big rig is no small matter. Studies actually confirm there may be problems with truck drivers who are on the phone while operating their vehicles. 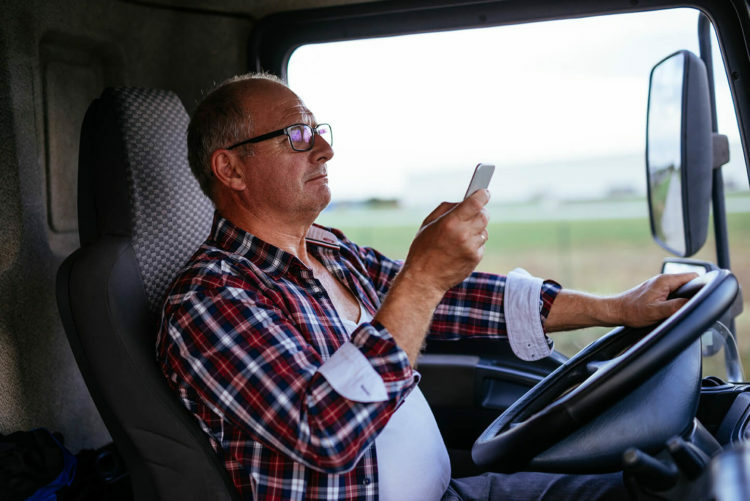 The Federal Motor Carrier Safety Administration (FMCSA) published a report on distracted driving and how it impacts the performance of commercial vehicle operators. They were able to review information collected from a company that uses technology to scrutinize drivers. This included a review of voice recordings and an assessment of time drivers glanced away from the road. Face cameras are also part of the onboard monitoring devices and were used to analyze driver behavior. The government report also captured some other interesting data. If a truck driver is using a mobile device, there’s more chance of the accident happening from a lateral standpoint. That’s because distracted truck drivers are more focused on traffic ahead, rather than on what’s occurring in their peripheral vision. This would mean that it’s more common for a distracted driver to sideswipe other vehicles. Or, that a truck could unexpectedly come into your traffic lane. Any type of truck accident can cause serious personal injuries. If you or a loved one is involved is involved in a crash with a big rig or another vehicle, de Lachica Law would like to offer you our legal services. Call us to see how we can assist you.